happy monday morning babes, hope you all had a relaxing weekend. friday morning my husband + baby + I headed down south to las vegas for the weekend. it will filled with perfect sunny weather, good food, and lots of pool time! a much needed weekend escape. now back to reality! since I wasn't able to post a diy friday project, I decided to post one today! this awesome project comes from one of my favorite blogs--- eastcoast creative. 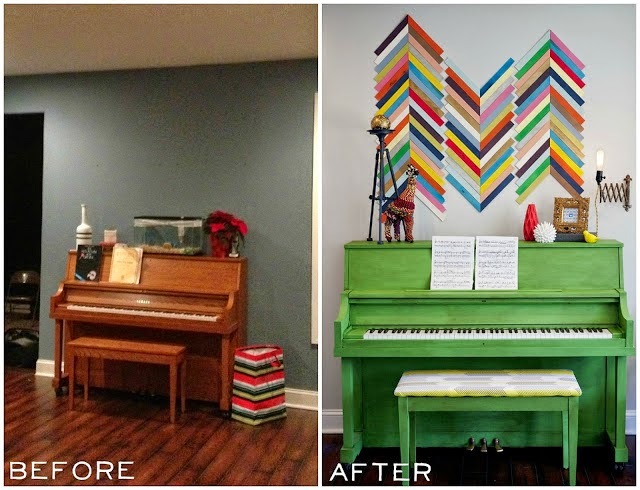 they always have great diy projects + lots of home inspiration in general. 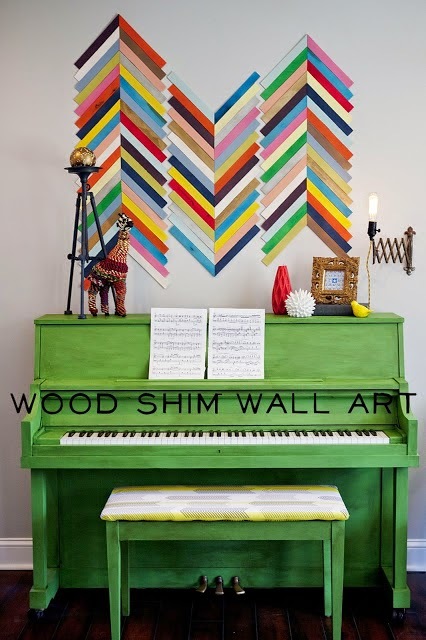 such a fun way to add color + texture to any space. they went the colorful, bold route but you could easily use a neutral color [or colors] and go for a more textural accent. such a fun idea! ALSO--- eastcoast creative is currently in round 4 of their "creating with the stars" competition and there are only a few projects left until the grand prize winner will be announced! + these projects are freaking amazing! so much inspiration is it crazy. click here to see the top 4 projects and vote for your favorite to make it onto next week!